My husband is hard-working. My mom is a natural Nana. My nearby sister-in-law has survived to share what it’s like to mother three amazing kids. Yet despite a solid support system gathering around for the birth of our third child, close family and friends are still left to figure out the innards of our kitchen. When do we offer our daughters milk versus water? Do we give snacks whenever the girls ask or is there structure around what, when, and where food is offered? Are there foods we can or can’t send to school in the girl's lunchboxes? What kind of bread do we buy? Do we have anything ready for dinner? What happens if the girls choose not to eat what's offered? These may seem like overly simplistic basics to even address to some. They may be too obvious or totally unnecessary to answer to others. However no matter what your family dynamic is when entering into this exciting new season with a newborn, recognize that these little nuances in each family are what make us who we are. They establish normalcy, create ease, and maintain security, especially with young ones whose eating habits may not be as clearly established or easy to articulate as with older kids or adults. They are also the key details that redirect the stress of making meals into the more-efficient process of managing meals as a new mom-- among as many hands as you have available to help. For this reason, I think we can best prepare ourselves, our children, and our family's generous helpers in the upcoming season by eliminating the need for others to ask us seven-hundred questions about food/feeding (or the tendency to always wing it when they can't!) and rather equipping them with helpful info for how to handle all things meal- and snack-related on their own. This post will outline how to plan ahead for managing meals as a new mom. As shared on previous posts about the Division of Responsibility in feeding, the more you can maintain the adult's role in feeding versus the child's amidst the "newness" of having a newborn, the less stressful it will be on everyone. Use the following links and guides to help you and whomever you have helping to assume your/their role as the adult while still encouraging your child in their roles as well! If you didn't catch my post on Freezer Meals to Make Before A Baby this month, be sure to check out those meal ideas here. In the post, you will have access to a download with the breakfast, lunch, dinner, and snack ideas I actually used to prep ahead some freezer meal (and snack) favorites for our family! You can also look back to the first half of 2018 and the family meal plans I included via the thumbnails below. While these posts only share ideas for the main course (as all the sides were already shared with newsletter subscribers (become a subscriber here! ), they may help you think of some recipes you might want to make (or ask a friend or family to make on your behalf!) when in a tired-of-ordering-pizza-every-night rut. Some recipes are more involved while others are ready in under 15 minutes, so scroll through to see which ones sound both tasty and practical to you and your family! While I have some favorite "go-to" snacks with my kids (and for myself!) shared on the freezer meals printable (available here), below are a few older blog posts that also might help give you some ideas for healthy snack options - be it at the pool for the final push of summer or non-perishable favorites to send as your children go back to school. For FAQs on Love it, Like it, Learning it and a FREE download you can use as your template to writing out what foods your child loves, likes, and is still learning (with 150 suggestions for kid-friendly foods to categorize), visit this post. Having a list of foods on hand to help others know what your kid "does and doesn't like" makes figuring out what combinations of foods to offer at meals easier on everyone while still emphasizing the importance of ongoing exposure to new, "learning it" foods! You can also coach caretakers on how to use a Love it, Like it, Learning it approach at meal times by sharing this article on How to Feed a Toddler at Meal Times. This postpartum, I have a calendar of our whole first month penciled in with what dinners we are making from our freezer stash, some easy, ready-made options, when I anticipate meals will be made for us, and the occasional takeout too. 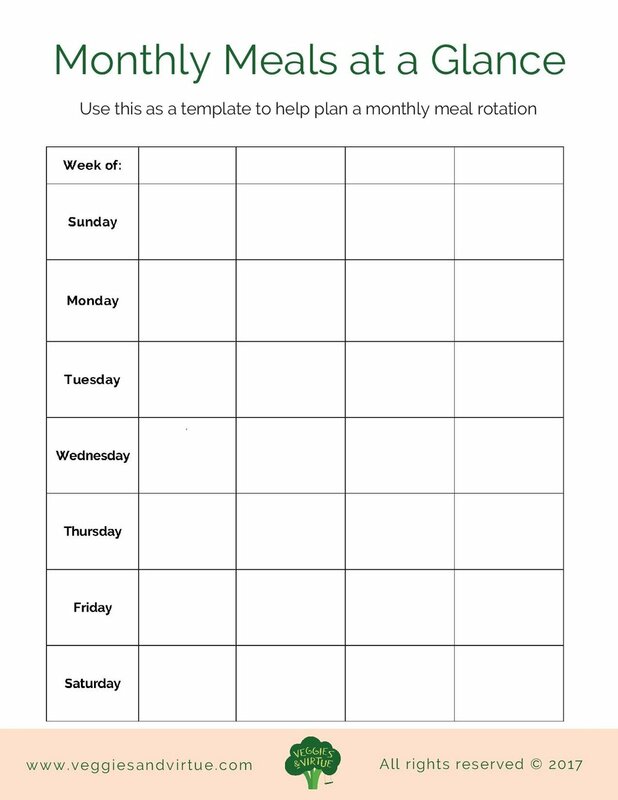 For breakfast and lunches, I have seven ideas penciled in that we will use on rotation each week using the templates available here, modifying as needed (but hopefully not much until I have my bearings a bit more). 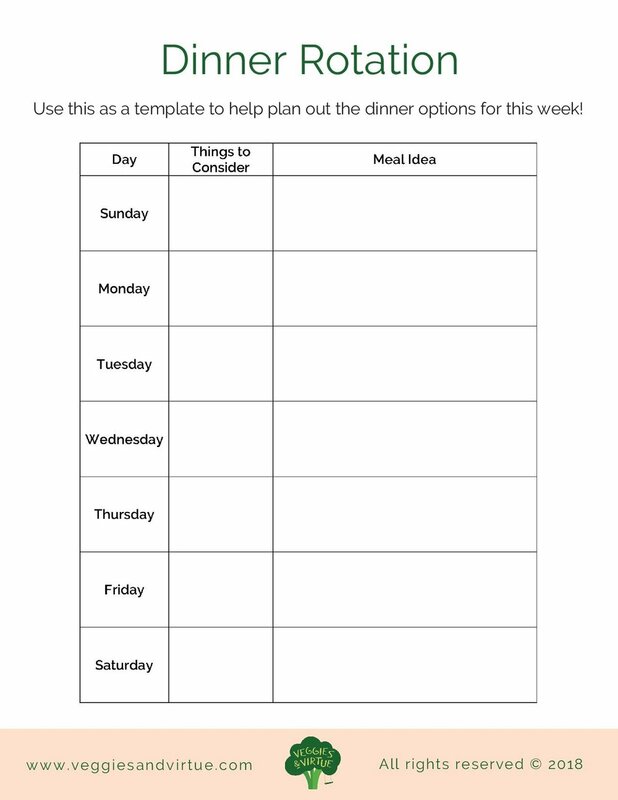 Having these templates filled out helps me to already have ideas for what we will eat, so in my sleep-deprived state I don't have to also think about what to make nor if we have the ingredients on hand to make these menu ideas! I plan to rely heavily on grocery pick-up in the postpartum window. In general though, I keep a magnetic grocery list up on my fridge so I can use that as my reference when I go online to place our grocery order. While magnetic lists are not currently available (will re-order and begin shipping again after maternity leave), you can access my free grocery download using the link below. Instacart does not yet service our zip code yet, but for many regions, you could order from Costco online as well. 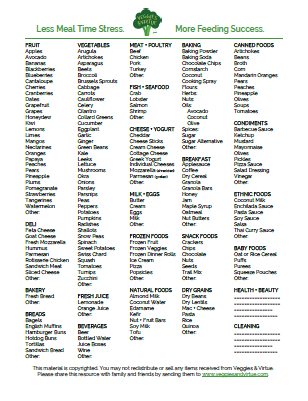 I created this guide as a visual grocery list for my 55 items I most heavily rely on getting at Costco. I can print, circle, and send this list with my husband to reference on his way home from work when he swings into Costco or while my parents while they're in town. Either way, they know the items to look for when I request a given item (without having to call or FaceTime me every 17 seconds to ask, "Is this the ________ you buy/want?"). Life needs to always remain flexible with kids, but there is something to be said for consistency and routine that makes the "newness" of seasons like having a new sibling easier for everyone to handle. That's why even if my kids aren't eating as many homemade nor well-rounded meals as our usual (during this postpartum period), I would say I care just as much (if not more!) that they are fed on as consistent of a routine as possible. I find with kids, it is easier to get "back on track" with the WHAT we feed after a season with more convenient foods than it is to reset their stomachs and appetites to a meal and snack schedule (after a season when grazing could easily become the norm!). 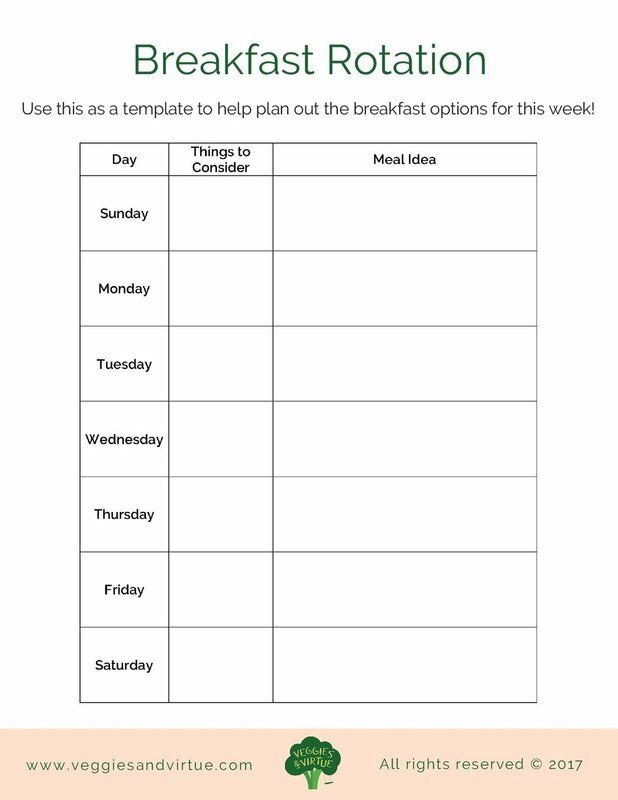 To help keep their meals and snacks happening around the same time each day, I use this daily routine template. 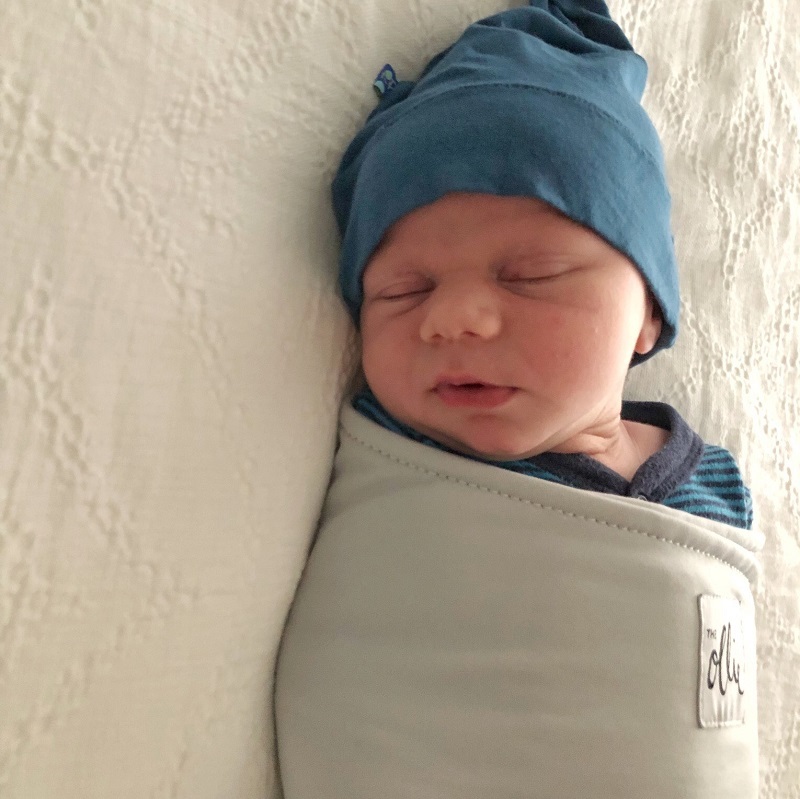 This allows me to pencil in what they have from the moment they wake up through bedtime, but two sheets could also be used if you are including an infant feeding schedule with overnight bottle feeds. I hear parents, grandparents, and virtually all caretakers struggle with how to keep kids seated for meal times. So while these tips and tricks can be applied in a variety of places where food might be offered, the aim is that indeed we are conditioning our children to sit at the table for long enough for them to fuel their bodies until food is offered again. Rather than battle your child to "just sit still," read this article for Seven Ways to Keep Your Child Seated Through Meals (and share it with those who will be feeding your kids after baby comes too for added reinforcement!). Whether you have a child in Mom’s Day Out only a couple of hours a week, a preschooler in daycare full-time, or a school-aged child needing packed lunches for elementary each day, packing lunches takes an extra bit of effort and attention - especially if being packed by a caretaker who isn't used to owning this role. To help them out with "what to pack," review these Five Secrets to Lunch Packing Success that I share over on the Super Simple blog [sponsored post]. Then, be sure to share any pertinent specifics for your child and/or their school with anyone who might be helping you pack lunches in the postpartum period. You can also download the a printable that runs through similar steps using the button below. Handling how to have others feed our kids (when we are away/unable to) is constantly a topic of conversation and often an area of tension within families. While we might not always be able to get family members or friends to adopt our approach to what, when, or where they feed our children, something we can continue to articulate is our desire for HOW they feed our kids in terms of a pressure-free approach. Just as you would respectfully share your approaches to discipline or sleep routines with a caregiver, consider discussing what some of your "family food rules" are before your new baby comes. Then, practice role modeling what this looks like to caregivers BEFORE baby is here with whatever meals such caregivers might be around to observe and engage in. Use this time to allow them to ask questions about What is the Division of Responsibility and How to Establish the Division of Responsibility. Furthermore, consider posting a list of feeding expectations up on the fridge for all to reference (like this 7 Steps to Feeding Success one). While this doesn't ensure that everyone will feed your child just like you would, it can help to redefine the boundaries you desire around the feeding environment. No matter what happens after a baby is born (or any time of major transition, really! ), remember that children are adaptable. They will go with the flow often more easily than we as moms do and they can adjust back to healthy old habits or create new ones (when necessary) with consistency and reinforcement as things settle down. So even if mac and cheese is on the menu for the first month straight, remember there is grace in motherhood that will also cover some of the shortcomings in a season where our children might have nutritional voids or less than ideal eating habits. If it gives you more peace of mind and helps your child to meet their daily nutritional needs better, you can also consider adding in supplements for the nutrients in food groups you know tend to be harder to reinforce and re-expose. My friends over at Feeding Littles have an excellent round-up of recommendations on Supplements for Infants and Children that might be worth reading and investing in. Otherwise, I hope the above tools will help you to feel a bit more prepared and at peace about how to handle meals as a new mom. You got this! We have all been in those early days after giving birth when the sleep deprivation is real and the ordeal to make breakfast, lunch, or dinner just seems beyond our abilities. We are starving 24/7 and yet we don't even have two hands free to open a wrapper let alone to put a meal together that extends beyond a protein bar. That's why you need a #MomSquad to step in. For some, this is made up predominantly of family. For others, it is a solid group of friends. Either way, every new mom (or mom to a newborn+other littles, especially!) needs a little love postpartum by way of good nutrition. And although there is lots to be said about the nutritional demands of a new mom, I'll save that for another post. Today, we are talking about the meals that we moms can bring other moms to support them and their families in those early, sleepless days. Because the best meal for a new mom is one she actually gets to eat! This is obviously an added expense, so consider up front how much you are willing/able to spend. This will likely help guide what and how much you choose to bring (homemade vs takeout; a single batch vs extras). If you find yourself short on time, consider which items are easier to assemble and/or order to bring a new mom. While everyone appreciates a home-cooked meal, there are plenty of quick, ready-made options or elements to a meal you can effortlessly add on. If you are bringing a meal to someone, it is often easiest to plan for your family to have the same meal. By making twice as much of whatever you intend to bring, you add minimal effort on to what you would already be preparing for your family alone. If you are going to bring a family a meal, do everything you can to bring not only enough but also some add-ons. Whether this be to help the picky eater in their home have something to eat, or to make sure the mom has enough to snack on later when her appetite spikes again, I don't think any mom has ever let food go to waste. Adopt the mentality that if you bring it, it will get eaten. Consider if what you are bringing is something that may sound good any hour of the day. This isn't an essential, but it is a nice added mention. With new moms having such a messed up internal clock, they may be eating what you bring in the middle of the night or right after their morning feed. Consider if the main meal or one of the add-ons (like rolls, fruit, etc.) may hold well to also be had later on at a less official "dinner time." Whether it be a known allergy (in mom or baby) or just an intolerance for either, it is always smart to ask the new mom before bringing her and her family a meal if there is anything she or her family members can't tolerate. Beyond the freezer meal ideas I shared in last week's blog post, I previously asked a few fellow dietitian moms to chime in on what their favorite meals to bring new moms are. Here is a round-up of our top faves, with some suggestions for things to keep in mind that make them favorites for good reason! As dietitians, we often live our lives with an innate need to build "MyPlate" at almost every meal. So by including a tasty protein with simple plant-based sides, bringing a meal that includes protein + veggies + whole grains + fruit for a family will help to not only satisfy their cravings for a complete meal but also help them to meet their nutritional needs from ALL food groups by giving them an assortment of options to build their plate with. I love Lindsay's add-on ideas of bringing this dish with brown rice, steamed broccoli (or just send broccoli in a microwaveable steamer bag! ), and washed grapes! Some of my favorite meals I have received as a new moms aren't actually "dinner" per say. While sometimes we have gone ahead and eaten these breakfast and lunch items for dinner, I often save these for mornings and mid days as those seem to be the hardest meals to get in (especially once a spouse returns to work!). Consider bringing frittatas, healthy muffins, sweet potato hashes, or even deviled eggs, chicken salad with crackers, or cold quinoa salads. These work to eat any time of the day and can be a nutritious way to help new moms, especially those breastfeeding, to get in a lot of nutrition outside of just at dinner time. A recipe I have enjoyed eating on several occassions myself (including as a new mom! ), this is one of those versatile meal options that makes a nutrient-dense lunch, dinner, or any time in between! Cook once, eat twice. I am pretty sure that is a mantra of motherhood, but especially in the early days. For that reason, consider dishes you could make a larger portion of so it serves the family not just on the night you deliver it, but also for leftover lunches or another night's dinner as well. This doubles the blessing of you bringing a meal well beyond just one night's worth! This one sounds fancy but is an awesome, affordable option. Packed with great nutrition, I love how this one takes care of the protein, fat, starch, and veggie for a meal by putting them all in one! This is one of the best "one pan" meals you could pop on by with! We all struggle with getting enough veggies in not only our kids but also ourselves. 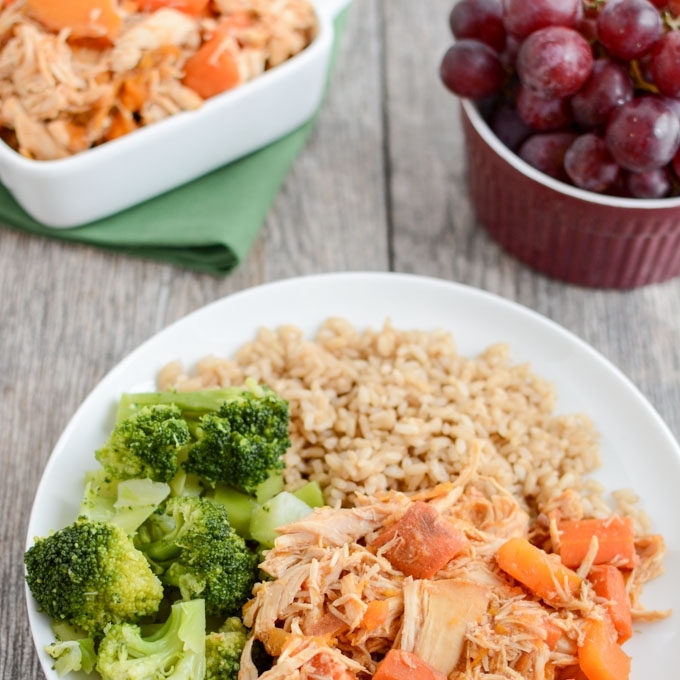 For this reason, bringing family favorites that you have added veggies too can be a welcomed surprise to mamas who want to eat healthy, wholesome favorites outside of just adding raw or cooked veggies on the side of any given entree. Some of my all-time favorites dishes are those tried and true by fellow dietitian friends, and this one from skinnytaste.com is no exception. I love how this recipe could be whipped up the night before, held in the fridge at work, and dropped off at a friend's on the way home without being a big mess nor hassle! If you are short on time to cook up a bunch of options or know this new mom maybe has another apprehensive eater at home, bringing a dish with lots of added toppings and sides can help to ease her anxiety around "what else to offer" her other family members when you bring the meal. Some easy ideas are to include kid-friendly sides that you either make or quickly pick up at the store on the day of delivery. Such ideas as tacos or tortilla soup where you make the taco meat or soup, than add on a bag of shredded cheese, Greek yogurt, avocados or guacamole, fresh pico de gallo, whole grain tortilla chips and/or tortillas, and a can of black beans or cook-in-the-bag brown rice can make it an easy to execute meal on both you and the new mom! This is such an easy recipe to make a double batch of then split to serve out to your family and another. Then just buy doubles of: cheddar cheese, whole grain chips, avocados or guacamole, sour cream (or plain Greek yogurt! ), and any other fixings you fancy! Lactation cookies understandably get a lot of attention with new moms but there are lots of delicious and nutritious dessert ideas to consider adding on to a meal you plan to bring a new mom. Think about adding avocado or zucchini to a batch or brownies, or wholesome ingredients like cashews, almond meal, and oats to something like a yogurt berry tart. If you are looking for a healthier option of dessert, this would make a delightful addition to any dinner that could be enjoyed around the clock. Plus, what newly promoted big or little sis wouldn't love to be told they can have dessert for dinner?! See what options exist in the region of the new mom. There are lots of ways to send edible support even when you can't physically stop by with dinner. There are a lot of websites out there that will organize this for you, but one that I have used several times is MealTrain.com. This allows you to set up a care calendar for the new mom/family with all the information one would need to bring them a meal. Between UberEats or a takeout order for the dad to pick up, sometimes ordering delivery or takeout is a great alternative option when you can't bring something homemade. Just pick a place (or two), shoot over a web link to the menu(s), and ask her to give you the order for her (and her family). Then, agree on a pick-up or delivery time with her, and you take care of calling it in and covering the bill. Whether it be ordering from Great Harvest Bread Company's delivery options (a personal favorite to send people; free delivery available for orders over $35) or sending someone a cart full of groceries via services like Instacart, she is sure to appreciate any food she doesn't have to fetch during her round-the-clock feeding and out-of-whack eating schedule. This is a great way to help stock her up on some goodies that may serve for breakfast, lunch, and/or dinner. What will you make for your #MomSquad? There are so many ways I have been blessed by way of food in the postpartum season. I hope these ideas above help give you some ideas on what you could do to support fellow moms in their postpartum season, knowing there is a good chance they will gladly reciprocate if/when you too find yourself needing a meal you don't have to make yourself! If you want more ideas of freezer-friendly meal ideas for new moms, be sure to see last week's post sharing my Favorite Freezer Meals to Make Before a New Baby. If you have ever been a first-time mom, I would bet that in all of your nesting activities, baby-prep book reading, Pinterest searching, and conversations about survival with fellow moms, you have probably seen or heard the terms "make ahead meals," "batch-cooking," and/or "freezer meals" at least once or twice. If you are an expecting mom with other children, this topic has likely come up either with gladness that it was something you did do before a sibling was born or with regret that it wasn’t you didn't do before delivery. That’s because whether you endured the marathon cooking spurts before your baby was born or have just heard from moms who have done this, you can imagine how that "my freezer is full of healthy staples" feels. Just thaw, cook, and serve with little stress nor sweat amidst the newborn season. Sometimes just starting that process to stock your freezer with food for postpartum is the hardest part though. Before our first daughter was born, I literally spent an entire weekend "batch-cooking" while my mom was in town to help. Although it was totally exhausting to spend several days on my feet cooking towards the end of my third trimester, it was oh-so-sweet when all I had to do was thaw and cook our pre-made meal post-pregnancy. I have repeated this marathon meal prep with each pregnancy since and am here to share some of my tried and true staples. Because although there are several websites, blogs, and pin-worthy recipes to give you ideas for bulk recipes to batch-cook and easily freeze for future use, I have a few thoughts and ideas to share of my own. Freezer meals are meals that have been assembled ahead of time with the intent of being cooked (or reheated) in the future. These are frequently touted as a time-saving, cost-effective technique to any meal, as freezer meals provides you with already assembled easy, healthy recipes to have on hand. Many meals can be converted into a freezer meal with a little modification to the ingredients needed (multiplying the batch to make more) or by shifting the time in which the instructions are done (some in advance; some saved for after the meal has been frozen). I have prematurely made several make-ahead freezer meals using recipes I have never even tried before. It still makes me upset when I think of how much time, energy, and money I wasted on what just boiled down to being a recipe I loathed having to eat again. Instead, freezer meals should make you want to do a happy dance when it comes to dinner time because they are just that easy. You invested little extra effort to get the meal assembled and on to the table. Otherwise, that anticipated disappointment of going into dinner for a meal you didn't even like the first time totally defeats having freezer meals at all. That's why, it is key to figure out how to convert your family's favorite recipes into make-ahead freezer meals. Think through what types of recipes your family tends to gravitate to. Instead of assuming the lists of "freezer meals to make before a new baby" fit your family's taste preferences, make a list of your own family favorites and sort through the steps below to see which ones might be able to be converted to a freezer meal. 2. Identify which step in the instructions is the best "stopping point" to prepare a freezer meal from. For recipes prepared on the stove-top or grill, this is often done after the step of making a marinade or sauce. Marinades/sauces can be made in a large batch and then portioned into small freezer-safe containers in the amount needed or you can put the marinade in with the meat to be immediately frozen. The latter will take more space (for those who might be more limited for freezer space), so you can always make just small jars/bags of marinade and keep them labeled to be added to the meat or dish later on. Kung Poa or Orange Chicken: both call for chicken breasts to be cubed or thinly sliced as well as a sauce. Cut up all the raw chicken for as many batches worth as you made the sauce, and then freeze it in batches so it is ready to toss in the pan with no more raw-chicken-prep-nastiness required. Prepare the sauce separately, and store it in a container alongside the raw (but ready-to-cook) chicken. For recipes prepared in the crock-pot, majority of the meal prep can occur in advance. All steps can be completed and combined into a freezer-safe container and later added to the crock-pot when it's time to cook. Exceptions may be when a recipe states to layer a fresh ingredient first (like onion slices) before adding the meat on top. If this is the case, just note that detail on the freezer bag/container so you remember to add that item prior to cooking (without having to go back and reference the recipe itself). For recipes prepared in the oven, the freezer meal may include every step up to actually putting it in the oven. Preparing these freezer meals in oven-safe and freezer-safe containers makes this a one-pan way to prepare, store, cook, then toss away the dirty "dishes" when done! 3. Evaluate the total yield for the recipe as it is written. How many servings does the as-written recipe yield? What is the assumed portion size for each? If this isn't appropriate for your family, adjust up or down as desired. Do you prefer to make a large batch and have leftovers, or to prepare enough for only one night's worth? Make a double or single-serving accordingly. How often do you foresee your family eating this over the next 3+ months? Note in freezer-safe containers, most freezer meals can be stored for 3+ months in a regular or deep freezer. Depending on how often you want to include this meal in your rotation and how much freezer space you have, make that number of batches for the given recipe. How much freezer space is available for this meal, while still leaving ample room for other freezer meals and staples? While a deep freezer may not be realistic for all families or in all homes, a chest deep freezer is an economical, efficient storage option (space wise) that can often be found at places like Costco for around $150. This is often less than families would spend on eating out or ready-made meals after a baby and may be an investment to consider before a baby arrives. 4. Modify the amounts of the ingredients in the as-written recipe based on the yields you desire. Note: this depends on your answers to the questions in step #3. Multiply the ingredients to be included in the freezer meal (those to be cooked and included before the stopping point) by the number of batches for each recipe you desire to make in advance. This will give you a large-size batch for the X number of meals you are wanting to make ahead. Divide this into X number of freezer-safe containers to store. 5. Make a note of the items to be added later (and in what amounts) when only preparing part of the meal in advance. If you feel a bit overwhelmed initially, experiment and gain experience doing this approach before it is time to actually make these meals as freezer meals for a new baby. The next time you plan to prepare a family favorite anyways, walk through the above steps. See how easy (or not!) it is to prepare this meal idea not only for that one night, but also as a freezer meal option. Make any notes and modify accordingly so when you are ready to make freezer meals for postpartum, you know if this is one you want to include or not. This post contains affiliate links, though all opinions are my own. When you purchase anything using these links, it will not cost you more to use. It does, however, give Veggies & Virtue a small commission to help me further pursue my mission of helping other achieve less meal time stress and more meal time success. Thank you for your continued support, both with your affiliate purchases and interest. These are available at any grocery store, but by far the best deal I have found is at Dollar Stores. Often, you can get 2-3 smaller pans in a single pack for only a dollar! Similar items are easily $3-4 per 2-pack at the store. Stock up on these before planning a big freezer meal making session, or buy extras so you can use to bring meals to new moms in these too (so that they don't have to worry about washing and returning your dishes!). I try to be conscious of the environment and prefer to use glass over plastic when possible. But when it comes to marinading meats and making efficient storage of freezer meals, I truly love using freezer-safe Ziplock bags. Whichever size you choose, simply fill; remove the air (manually); seal; lie flat to freeze. Then, once frozen, all meals can easily be stacked on top of the other or upright in a row in the freezer. This both helps to save space and find items easily. Costco also carries a very economical option that serve as perfect leftover containers for lunch the next day (similar to these). These are not my favorite for liquids and sauces, but they work well for grains, a muffins, taco meat, beans, and other items you may only need 2-4 cups worth of per container. I love mason jars for a lot of things and prepping freezer meals are no exception. Mason jars can be great for storing marinades or making smaller batches of soups, say to pull out and have for a serving or two worth of soup. Just be sure to leave a little space at the top when storing liquids in mason jars so there is room for the food to expand (when frozen). Many of you have been asking for the latest list of what meals I prepped ahead for this postpartum period. So as promised, you can score the complete list of links to the following meal ideas on the download linked below. There are SO many more I could have included from family recipes as well as some Fall favorites (like chili, soups, and stews). But since I don't have electronic recipes for all of these and personally wasn't craving a lot of "cold weather" meal ideas (having an August baby in Houston and all), I opted for the following 30 freezer meal ideas instead! I am excited to enjoy these in the coming months as we welcome our newest member! If so, please be sure to share on social media or send the URL to fellow mom friends who might also benefit from more ideas on how to prep freezer meals for postpartum! Plan ahead and be prepared for a successful time pumping while traveling without a baby. Follow the packing list and top tips listed here. This past Memorial Day weekend, my husband and I celebrated our four year anniversary. As an unexpected getaway, I am about to meet him in San Diego for a weekend away together (he is already there for work). This is our first trip away from both the girls since B was born in January. Since she is still exclusively breastfed, the number one item on my packing list revolves around pumping while traveling without a baby. Thankfully when it comes to pumping while traveling without a baby, this isn't my first rodeo. We spent our first anniversary 8 weeks pregnant in Belize. For our second anniversary, we got to have an overnight away...with my pump in tow. By our third anniversary, I was yet again newly pregnant. Amidst these past few years of pregnancy and pumping, I am grateful to have made plenty of trips exclusively pumping - both with and without my babies. I'd like to believe I am starting to get it down to a bit of a science. That way when impromptu weekend getaways with the hubs come up (as it unexpectedly did this time! ), it is no sweat. I can easily think through what I need to pack to pump while traveling without a baby. Wouldn't you love to feel that kind of freedom (a word you'd usually would not associate with exclusive pumping...or parenting)? Here is what you need to bring when pumping while traveling without a baby. The list is pretty straight forward, but having a simple checklist on hand will help you pack up your pumping supplies swiftly. Then you can focus on loving those little baby rolls and kissing your kiddos before you head out of town. Bring this as one of your carry-ons, if possible. If you opt to check your pump instead, consider bringing a hand-pump on board with you. Between flight delays and lost baggage, having at least one pump option on hand will eliminate unnecessary headaches and helpless engorged-mom moments while stuck in the airport. Trust me, I learned this the hard way my first time pumping while traveling. This is a bit of a no brainer, but be sure to bring each of the pieces you need. Pack an extra set of membranes too, just in case one tears. Store your clean pump parts in a gallon-sized Ziplock. Pack a few extras for when your pump parts are dirty. The standard power cord is an obvious item to pack, but the Medela car adapter is one that has time and time again brought convenience to pump while traveling in the car. Medela battery packs are another safe-guard that I've had be a life saver when outlets at the airport didn't work and my plane did not have outlets on each seat. It is a huge piece of mind to have a power source with you at all times so you don't have to sweat if and where you'll be able to hook up to pump while traveling without a baby. 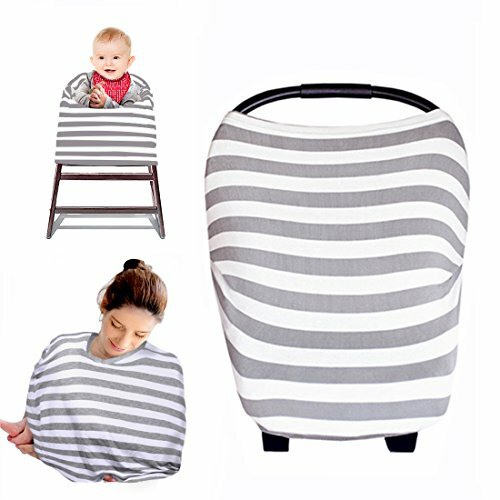 Since you don't know whether you will find yourself nursing in the car, on the airplane, or in a public restroom while traveling, a nursing cover is necessary for anyone wanting to maintain a bit of privacy while pumping. Please tell me you already own this pumping bra. If not, get one. It will change your life. Then it will also become the main item you remember to pack when it comes to pumping supplies. I have tried a lot, A LOT, of pumping bags between exclusively pumping for both girls. My current favorites are the NUK milk storage bags. I have been luck with these not leaking (compared to Lansinol's old design) and the price is among the best I have found for any bag. 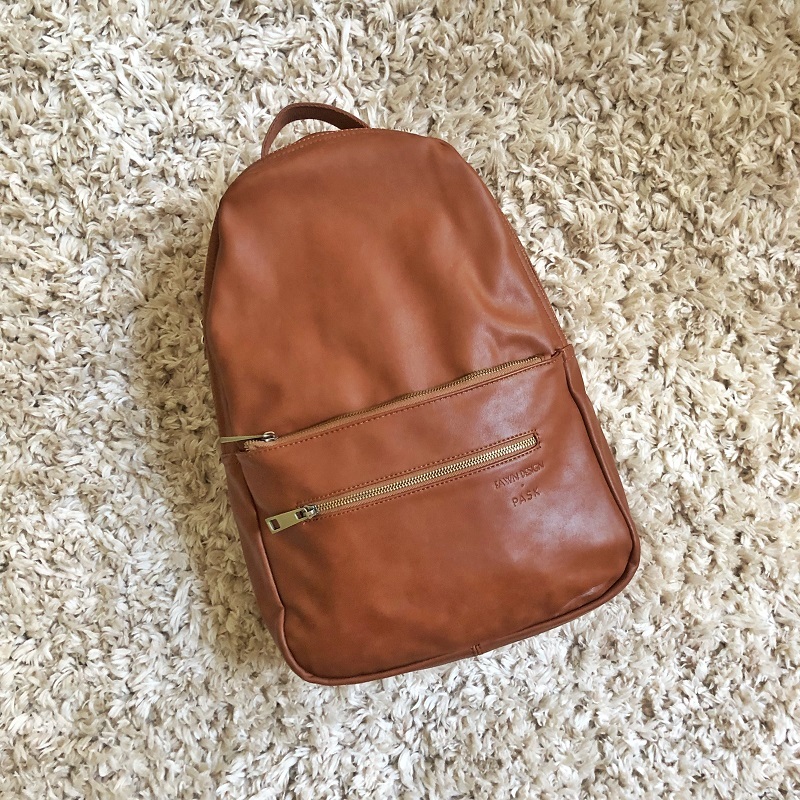 EDIT: Lansinol has redesigned there bag and upon posting this article, has also reduced it's price on Amazon. I have not yet had to thaw milk in the newly designed bags, so I cannot speak to how well it leaks (or doesn't). Fellow EP moms claim Lansinol's milk bags seem much-improved. I don't use these when at home. When I don't have proper sanitation supplies around me though, these Medela quick clean micro-steam bags are lifesavers! Each bag gives you 20 uses, so I usually only need to pack one or two to last me the whole trip! Count how many times you pump per day, then play around with if you can fit all your pump parts in the bag at once. Depending on your shield size, you may have to use this bag twice each time to pump everything. I swaer by Pumpin Pal large shields, but they do take up more room than traditional, size 24 Medela ones. This is the perfect size soap, even for those traveling with carry-on only. The brush makes cleaning standard, 5-ounce pump bottles a breeze too, without excess water getting everywhere. Note that the bottle brush may not adequately reach in the larger, 8-ounce pump bottles. I love these. Again, these Medela cleaning wipes aren't an item I can't justify using often due to their expense, but they make pumping while traveling without a baby so much more bearable. I can easily and effectively wipe down all my pump pieces, including the bottles if/when I have the bottle brush to help reach down and within it. Bring no less than two of these. One for clean pump parts, and one for dirty. 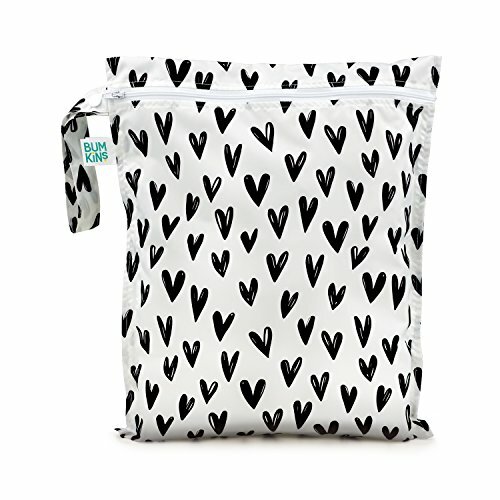 I usually bring at least one more too for putting the filled breast milk bags, storing extra supplies, holding ice (if you don't have ice packs), etc. I have an insulated lunch bag cooler that I only use for pumping while traveling. To me, it is an added piece of mind that an old sandwich was never left in it nor are there goldfish crackers crumbled in all the corners. It is compact but still fits enough milk from being away for a few days. I freeze these ice packs before I leave for the airport. Then whatever milk I pump while en route to my destination stays cold. I keep them in the freezer part of the mini fridge while at the hotel, so that I can use them again when flying home. Before you head to the airport, have everything ready to go in your carry on. It is easiest to pack everything I need for pumping in one bag in and of itself. That makes it easier to access on the plane (if need be) as well as for security. Once you've finished pumping while traveling without a baby, keep all pump pieces in your cooler along with the milk. This will keep them safe enough to use again, even if you weren't able to thoroughly wash and sanitize your pump pieces between uses. One of the biggest stressors new moms face when pumping while traveling without a baby pertains to bringing breast milk through airport security. The easiest way to ease your uncertainty is to stay up to date on TSA regulations for traveling with breast milk. TSA officers are trained to know how to handle breast milk. However, I have had several different experiences pumping while traveling without a baby and then bringing my expressed breast milk onboard. So it is best to educate yourself instead of expecting them to care as much about your expressed breast milk as you do. 1. Inform the TSA officer at the beginning of the screening process that you are traveling with breast milk. 2. Make it known if you do not want the breast milk to be X-rayed or opened (standard protocol). Additional steps and/or screening procedures will then be taken to clear the liquid. 3. Understand the 3-1-1 Liquids Rule Exemption. Breast milk is not limited to 3.4 ounces, nor does it all need to fit in a quart-sized bag. Ice packs are also allowed through security, if being used for the purposes of keeping breast milk chilled. Note, some may find getting Ziplocks filled with ice on the other side of security to be less of a hassle, as I have had TSA officers argue and ultimately take my ice packs for being "partially thawed" (unintentionally, of course). 4. If you find yourself in a compromised situation, pull up the TSA website for traveling with breast milk on your smart phone. This helps lessen your need to defend yourself in a potentially uncomfortable position, while still helping you to protect your rights as a mom pumping while traveling without a baby. From the horror stories of milk being dumped out to the hassle of security taking your ice packs, such scenarios should all be avoided with this resource on hand. If you have the time before you travel, you may want to research if and where there are lactation rooms at the airport or in the facilities you plan to visit. Many conference centers, hotels, and other large establishments have also nursing rooms available to support moms who are pumping while traveling without a baby. A simple email or call ahead may help take the headache out of finding a place to pump while en route or upon arrival. If nursing rooms are unavailable or inconvenient at the airport, there are usually outlets in family bathrooms or near the infant changing area in a women's restroom as well. Try to find an outlet that is an area of less foot traffic if you can. This puts less pressure on you to pump quickly while not tying up a bathroom that's in as high of demand. Some airplanes have outlets available on each seat (i.e. I know United usually does). This makes it easy to pump on the plane, if you are comfortable with limited privacy. Using a pumping cover, the sound of your pump itself is easily drowned out with all the sounds from air travel and few people are able to see you do so while in your seat. If your seat doesn't have an outlet (i.e. most Southwest flights) or you are more comfortable using the restroom to pump while traveling without a baby, a battery pack will be necessary to do so. Plane bathrooms are not equipped with outlet and, so be sure to bring your own battery pack/power source. When pumping, let the stewardess know before you go in so she/he can help point passengers to other restrooms. Also try to limit pumping to 10-15 minute intervals, even if you have to take more trips to the bathroom to achieve a full pump. While this may not be the most convenient route, it helps prevent there being too many passengers waiting for the restroom after you. Remember to request a mini fridge (in advance) where ever you are staying. 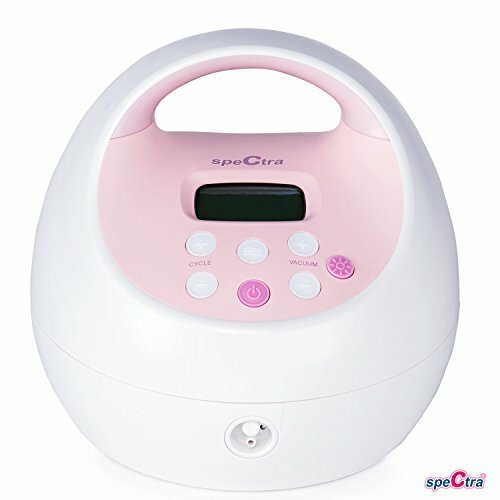 Most hotels are happy to accommodate you free of charge, if you mention you are pumping while traveling without a baby. Many assume pumping while traveling without a baby will be a total pain. It doesn't need to be. Instead, follow the packing list and top tips listed above to stay ahead on keeping your supply up while away. Whether you find yourself traveling on your first postpartum business trip or on an impromptu getaway, plan ahead and be prepared for a successful time pumping while traveling without a baby. Safe travels! Tell me about your experiences pumping while traveling without a baby. Have you done it? How did it go? Do you have any horror stories we can all learn from or success stories to help set others up for similar success? I would love to hear. Please note that this page includes affiliate links. I have used all of the products listed and recommend them because they are helpful and from companies that I trust, not because of the commissions that I may earn from you using these products. "How am I ever going to get my pre-baby body back?" It can feel overwhelming at first to juggle any additional exercise outside of "running after" a new baby, especially if you have other littles on the lose also. This whirlwind can afford you new opportunities for physical activity however, if you brainstorm beyond the barriers for why you can't work out the way you did before. A plug for what I personally found most effective and efficient for losing baby weight was workout videos. Specifically, I used the T25 workout videos after our first daughter was born. As a first time mom, I wasn't comfortable taking her to a gym's childcare for quite awhile and yet I struggled to keep her content for any amount of time when exercising on my own. Instead, short videos that still yielded a lot of sweat were the best balance for us. I knew I wanted to both build muscle and my physical stamina again, so the T25 was a good challenge for me. Depending what type of exercise you enjoy and what your personal fitness goals are, there is an endless array of options to keep you exercising in the comfort of your own home. If you are someone who tends to stick to your fitness goals best when given added accountability, finding a local Stroller Strides chapter (or like group) may be a wise addition to your workouts. Most major cities have groups ranging from official Stroller Strides to allied organizations like Hike it Baby to neighborhood walking groups. Although these groups usually do not provide access to enough meet-ups for daily exercise, they can be a great way to get a sweat alongside other moms on a weekly basis. Often times, young moms find themselves entering into the season of motherhood with others in similar stages. Whether they were friends you've had for years or someone you've clicked with postpartum, fellow moms can be the perfect workout buddy. Just remember -- the best workout buddies are often those who you can relate to and yet be inspired by. A friend without kids may have more flexibility than you on when, where, and what type of exercise they are able to achieve. Conversely, a fellow mom friend with zero motivation to lose the baby weight may hold you back from reaching your fitness goals. For this reason, find a friend who can provide the winning combo of camaraderie, encouragement, new activity ideas, and accountability. This may be someone who lives close enough to physically workout alongside each day, or a friend you keep in touch and on track with throughout the week. No matter where they are or how often you actually exercise together, be sure you two (or more!) share your struggles and successes in a way that is mutually supportive. Before kids, your criteria for selecting a workout facility likely focused on a lot of the bells and whistles that don't matter a bit once you have a baby. Can I see myself making it here often enough to validate the expense? If the location prohibits you from popping in to workout when you have the time and energy, consider if another option makes more sense. Sometimes one that is closer to your home and without childcare may be more convenient to arrange exercising at than one further away with childcare. What are kids engaged in during their time there? Is a TV playing, or does the staff facilitate more interactive activies, especially as your child gets older? 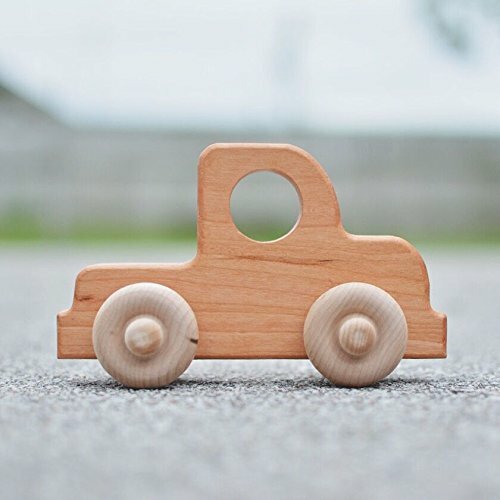 What are the practices for keeping toys clean and kids well-kept? Is there a set approach to the sanitation of toys, the playroom, etc? What are their approaches to allowing in sick kids, diaper-changing and/or bathroom use for older kids, etc.)? Overall hours of operation. Beyond the overall hours the facility is open, be sure to find out the hours childcare is offered. Childcare scheduling. Are you free to drop your child off anytime, or do you have to signup ahead of time to secure your child's spot? Length of childcare. How long are you able to leave your child in their care? Most gyms are accommodating for an average-length workout or class, but comparing policies across potential places can help pinpoint which place is best for you and your family. For those who believe knowledge is power, a fitness band may be one of your best friends when it comes to losing your baby weight and staying on track to getting your pre-baby body back. Depending on which fitness band you favor, they can provide data on your daily physical activity, sleep patterns (or lack thereof! ), and other metrics for health. Fitness bands can be a great tool to aid in both meeting daily exercise goals and gradually increasing overall activity. Just remember to ease into your use set realistic expectations. While it is admirable to set goals that motivate you to keep moving, any new mom also needs to remember where majority of their energy is going - their child(ren) - whether a fitness band can track it, or not! Disclosure: All opinions are my own. I was not compensated for mentioning any of the above products, companies, nor classes. Some links may be Amazon affiliate links for which I may receive a small compensation, should you choose to buy through them.